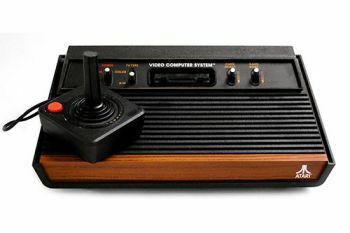 City’s Dr Chris Child, a Lecturer in Computer Games Technology, comments on why the return of pre-internet games consoles such as the ZX Spectrum and the Atari 2600 have been such a hit with games enthusiasts. Released 33 years ago, the ZX Spectrum computer was an 8-bit personal home computer made in the UK by Sir Clive Sinclair’s Sinclair Research Ltd. The Spectrum was among the first home computers in the UK to reach a mainstream audience with parallels to the reach of the Commodore 64 in the USA. The ZX Spectrum, with its high-resolution colour graphics and sound, was a bonanza to computer gamers enjoying games such as Football Manager, Airwolf, BC Bill and Action Fighter. 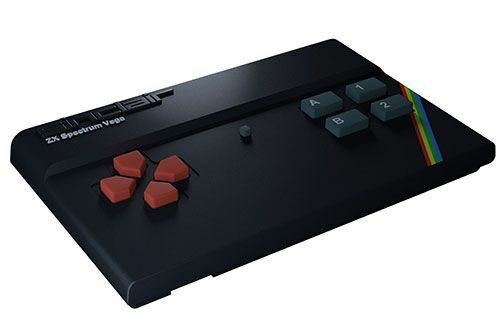 This classic computer console has made a millennial comeback in the form of the Sinclair ZX Spectrum Vega. “There was a depth of innovation in the early games. An army of bedroom programmers developed games that didn’t need the high budgets of large teams, so it was easier to take an interesting idea and run with it, even if there was no obvious commercial appeal. The constraint of the hardware also forced innovation in things like procedural generation (e.g. Elite) and optimized level design (e.g. Gauntlet)." In recent times, the ease of access to the market for the developers of mobile and Steam games and free development platforms (e.g. Unity and Unreal), has seen a new wave of innovation at the indie level. Low- budget and art games like Pappa & Yo deliberately set out to deliver a message and are fun to play. A computer program is a specific set of ordered operations for a computer to perform. Programs can be characterized as interactive or batch in terms of what drives them and how continuously they run. An interactive program receives data from an interactive user (or possibly from another program that simulates an interactive user). A batch program runs and does its work, and then stops. Batch programs can be started by interactive users who request their interactive program to run the batch program. A command interpreter or a web browser is an example of an interactive program. A program that computes and prints out a company payroll is an example of a batch program.